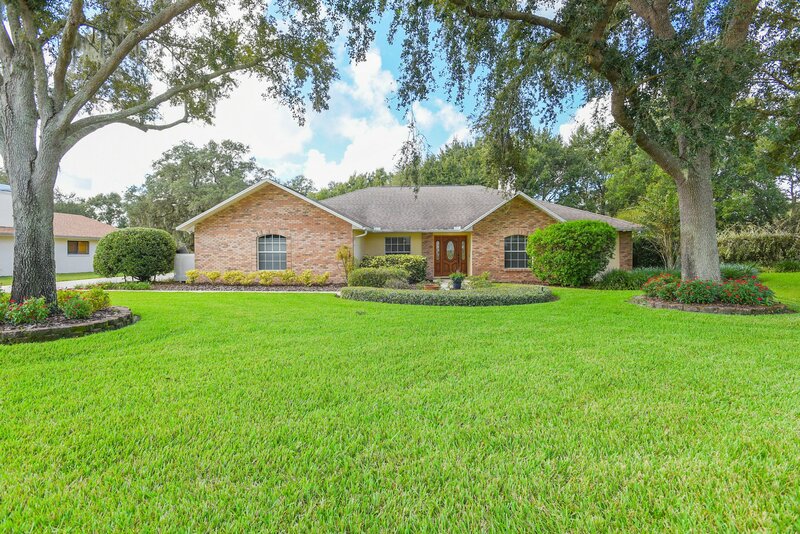 Nicely maintained 3br/2ba/2cg home nestled on an OVERSIZED LOT with park setting! Situated on slightly less than 1/3 acre lot, the surrounding yard is great for entertaining, play area’s and gardening! Boasting 2228 SF, the interior spaces are warm, inviting, and hugely functional. You will immediately take note of the soaring VAULTED CEILING in the family room, and the charming WOOD BURNING FIREPLACE. The SPACIOUS kitchen eagerly awaits your personal touch. A large laundry room with sink offers added storage and convenience. The master retreat steps out to the lanai, provides large walk-in closet and a private bath suite, walk-in shower and jetted tub for relaxing.. The other bedrooms all offer plenty of functionality and can accommodate even the largest of furniture with ease while having plenty of storage. Family room leads to your incredible outdoor living space, screened in covered patio! Perfect for the entertaining of your family and friends! Third bedroom currently being used as a office also leads out to the screened patio. Located in the Brooker/Burns/Bloomingdale school district, this home has all the charm and beauty you could ask for. Just minutes from dining, shopping, golfing, entertainment, and a quick commute to Downtown Tampa traveling the Selmon Expressway.